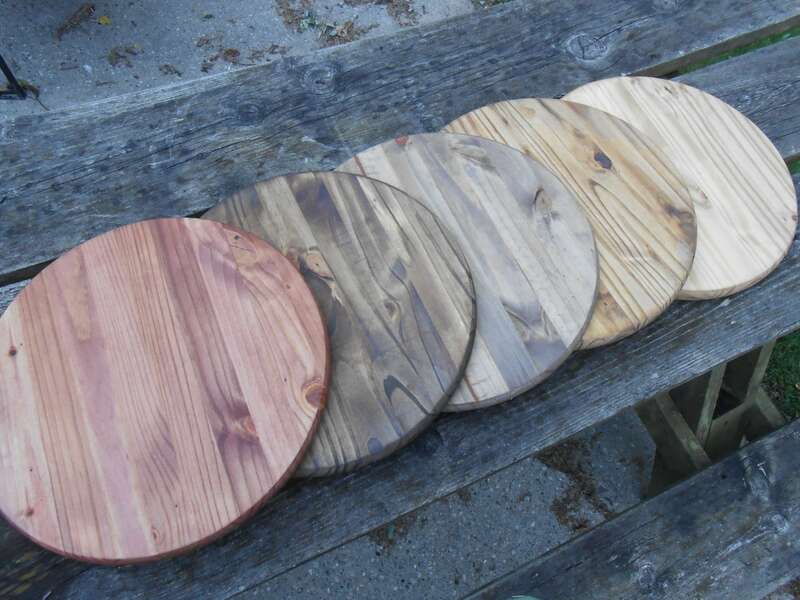 These large cake stands are perfect for any event! You get to choose the color of your cake stand. 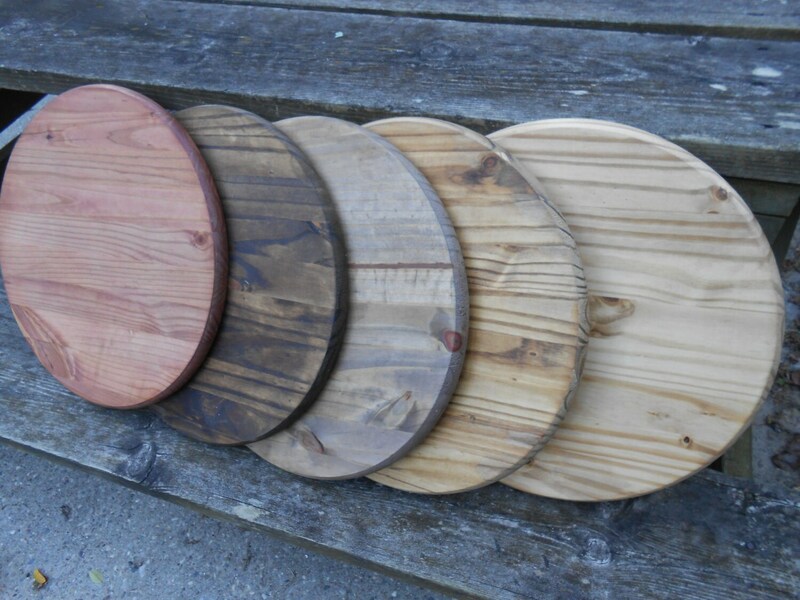 Measuring 18" in diameter, they are perfect for any cake that measures 18" or smaller. 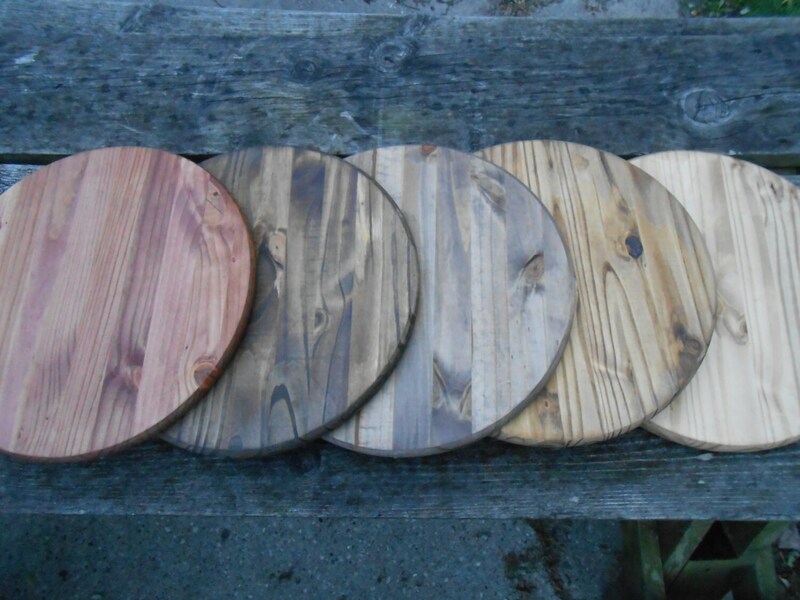 They are 1 inch thick and have a wonderfully rustic feel. ***TO CHOOSE YOUR COLOR: Please select your choice at checkout. 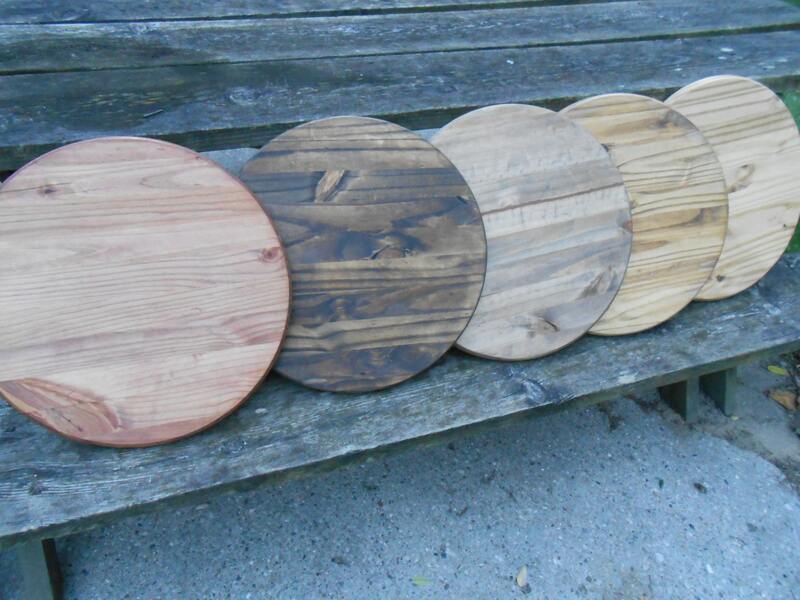 They are listed from left to right: Red Oak, Provincial, Walnut, Golden Oak, & Early American. 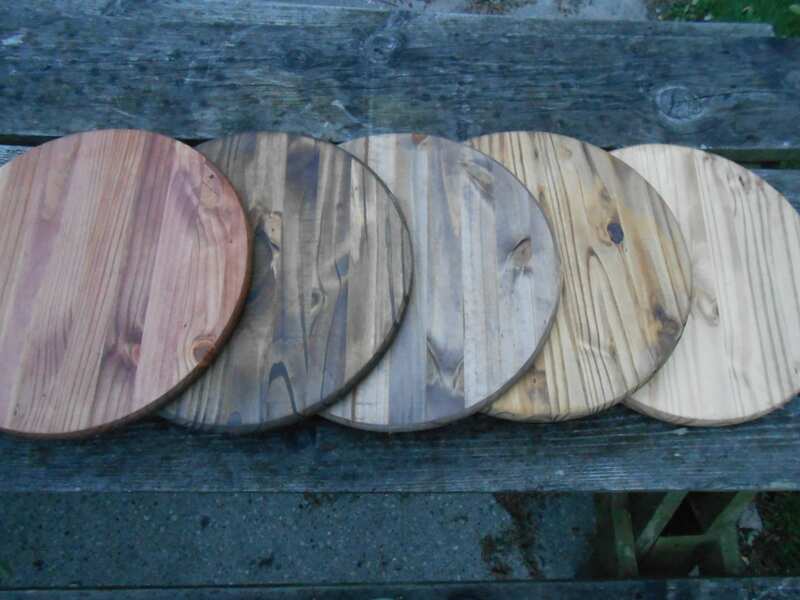 You will not necessarily receive the one in the photo, but we do make sure that all of our cake stands have really pretty wood patterns. Either side of this cake stand can be used for the cake. The wood pattern varies on each side. Please allow us a few days to make one of these. If you need a rush order, please send us a message. We ship Priority mail, which usually takes 2-3 days in the US, and up to 2 weeks overseas. If you would like faster shipping, please send us a message prior to purchase and we can make you a custom listing. Contact us for international shipping rates. Thanks!